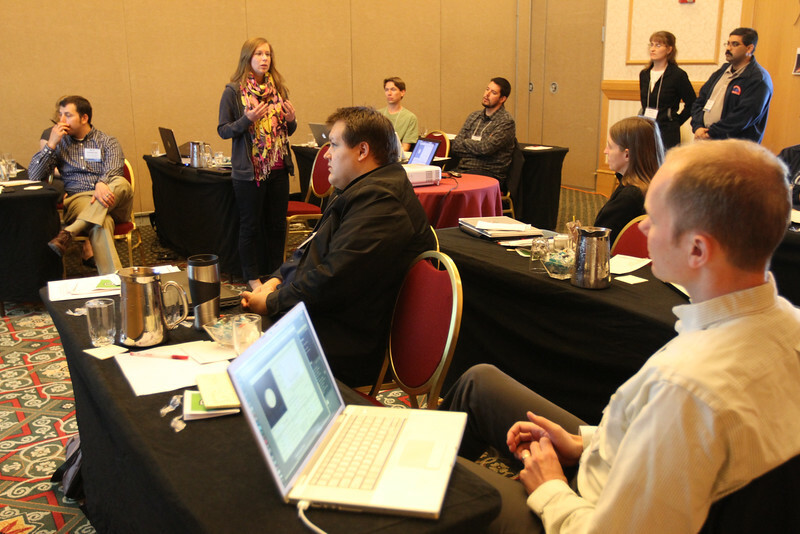 The weekend before every AAS meeting features workshops conducted by the Center for Astronomy Education (CAE) and Collaboration of Astronomy Teaching Scholars (CATS). Here Kathryn Williamson (Montana State Univ.) makes a point during a workshop focused on the use of technology to improve Astronomy 101 students’ understanding of fundamental concepts. AAS photo © 2012 Joson Images.